Actor Jon Voight has had it with some of his fellow Hollywood-ites. Recently the erstwhile highly respected Robert De Niro took to video to express, in the most vulgar way possible, his hatred for Donald Trump. And Voight fired back. Scroll down for full De Niro video. Voight tweeted out his opinion of De Niro and all those in his profession who skew far left. 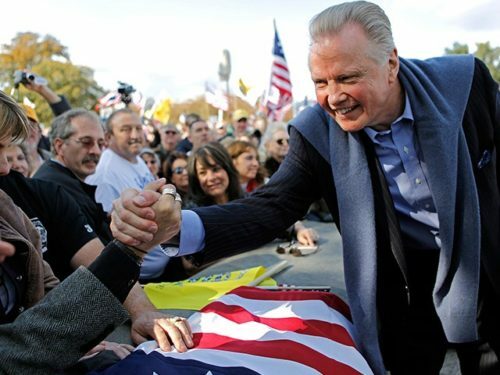 Thank you Jon Voight. Your grasp of reality is a refreshing change from most of Hollywood and especially the clearly unhinged Robert De Niro.